Security concerns over ships transiting through the Tri-Border Area of Malaysia, Indonesia and the Philippines has led to cooperative counter measures to combat piracy here. Host Nation Security Forces are the only permitted armed guards able to provide on board security. MNG Maritime has exclusive licenses to broker and oversee the delivery of these security teams, as an enabling service for PMSC clients. This service extends to, and is coordinated across, all maritime routes that transit between these coastal states. Incidents involving the abduction of crew from ships in the Sulu-Celebes Sea and waters off eastern Sabah were first reported in March 2016, and these continue to occur today. 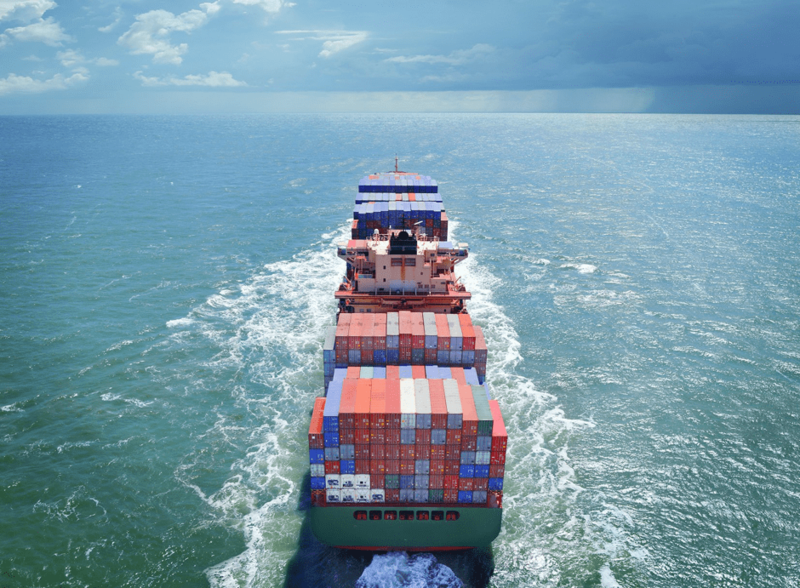 Initially only fishing trawlers and tug boats towing barges were targeted, but now larger tonnage ships including bulk carriers, general cargo ships, container ships and product tankers are of interest to the pirates.. 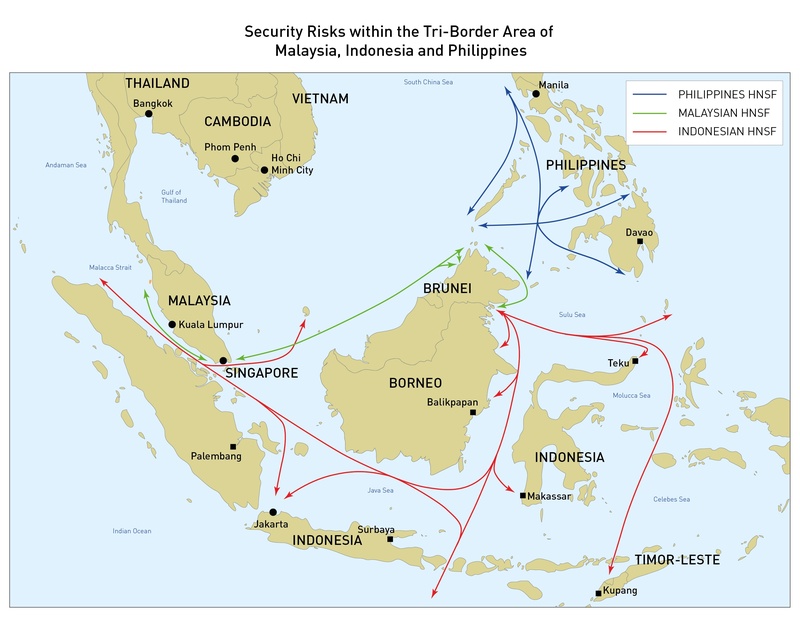 There are two main areas of heightened pirate activity in southeast Asia; the Strait of Malacca (SOM) to the west, and the Tri-Border Area (TBA) of the Philippines, Indonesia and Malaysia in the Sulu Sea and the Celebes Sea to the east. Both regions are extremely hard to police as the many of the islands in the region offer effective safe havens for the criminals. Abu Sayyef, the ISIS/Daesh-affiliated group operating within the region, are a proscribed terrorist organisation. This would prevent the employing company of hijacked hostages from paying any sort of ransom. The politically charged piracy in the eastern region around the Sulu-Celebes Seas will almost certainly continue. On 5 May 2016, Foreign and Defence Ministers of the Philippines, Indonesia and Malaysia released a Joint Declaration on immediate measures to address the security issues in their maritime areas of common concern. These included establishing operational commands, increased patrols and monitoring stations, able to identify and respond to further events. Each coastal state has now identified their own maritime authority to deliver armed guards to commercial and private vessels sailing through Malaysian, Indonesian and Philippine Territorial Waters (TTW). Through each states’ identified and rightful maritime authority, MNG Maritime has secured the exclusive rights to deliver these Host Nation Security Forces (HNSF) in the capacity of on-board armed security teams. Given the legal restrictions over the carriage of firearms through the territorial waters of the Tri-Border Area (TBA), the vessels passage through the respective TTW will dictate which HNSF will be deployed to embark onto the client vessel – either Royal Malaysian Police, Indonesian Marines or Philippine Coast Guard. In circumstances when multiple territorial waters are transited, MNG Maritime will coordinate the disembarkation of HNSF Team A and embarkation of HNSF Team B as close to the respective territorial boundaries as possible in order to minimise the duration of passage unprotected. It is illegal for Private Maritime Security Companies to deploy their own armed security guards within the territorial waters of Malaysia, Indonesia or Philippines. Any armed guards operating on foreign vessels within the territorial waters of Malaysia, Indonesia or Philippines must be a serving member of that States own rightful maritime authority to deliver armed guards to commercial and private vessels – Malaysian Police, Indonesian Marines or Philippine Coast Guard personnel. In most cases, the HNSF have not been specifically trained in counter-piracy operations to support foreign commercial vessels. MNG Maritime is in the process of delivering commercial counter-piracy training to the respective authorities, however this will take some time to roll out across all three States. For security reasons the various HNSF will normally only provide limited information on the assigned personnel. This will typically only include the names of the personnel, weapon serial numbers and ammunition quantities. Additionally, as the armed guards are National Armed Forces it is not possible to provide Rules for the Use of Force (RUF) prior to a deployment.